The IOC said Thursday it was informed on Monday that the Indian government authorities did not grant entry visas to the Pakistani delegation for the 25-meter rapid-fire pistol event at the ISSF World Cup, where two places at next year’s Tokyo Olympics were meant to be at stake. “Since becoming aware of the issue, and in spite of intense last-minute joint efforts by the IOC, the ISSF (International Shooting Sport Federation) and the Indian NOC (National Olympic Committee), and discussions with the Indian government authorities, no solution has been found to allow the Pakistani delegation to enter India in time to compete,” the IOC said in a statement. It did not say whether Pakistani athletes were entered in any other events at the competition. In a statement to the Press Trust of India news agency, Rajeev Mehta, the secretary general of the Indian Olympic Association, said Friday the IOA would approach the government again about the visas. The IOC said the situation goes against the fundamental principles of the Olympic Charter to not discriminate against any athlete. 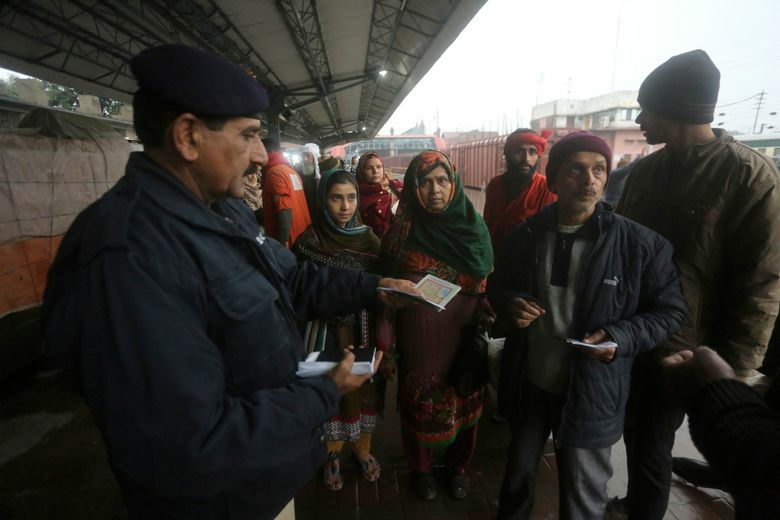 The visa refusal comes amid escalated tensions between the two countries following last week’s deadly suicide bombing in Kashmir against Indian paramilitary troops. At least 40 Indian soldiers were killed in Thursday’s attack, which New Delhi blamed on Islamabad.